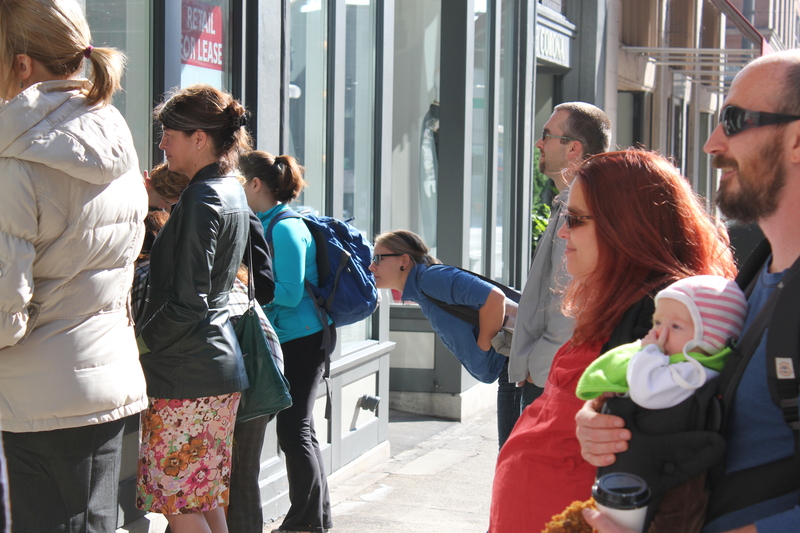 If you walked by 2nd Ave in Pioneer Square at lunchtime yesterday, you probably noticed some unusual happenings. 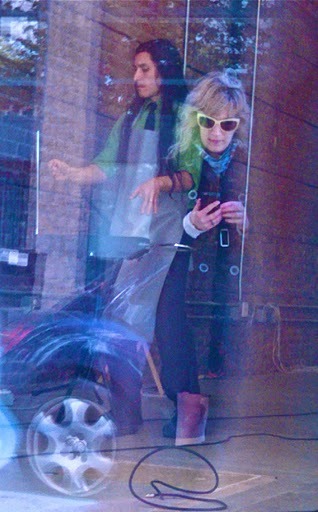 Self-described ‘band/whatever’ AWESOME used the 610 2nd Ave storefront as the stage for a noon performance. 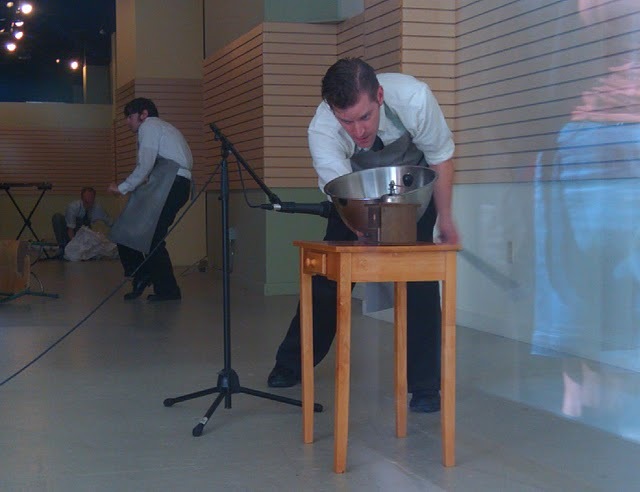 The performance – Savory Onyx Machine – was a mix of sound demonstration, dancing, singing and live theatrics. AWESOME performed inside the storefront, while the audience watched the show through the windows and followed the sound experiments through an outdoor speaker. Telling the story of a city on fire, the band used crushed paper to imitate the sound of flames, moving as if balancing themselves on the ledge of a skyscraper to escape the blaze. AWESOME’s John Osebold tell us “the performance included several rolls of building blueprints, spoken coordinates, a very resonant mixing bowl, an old fashioned coffee grinder, a theremin, a ukulele, lots of claps, a clarinet, concert bells, and a record player.” The performance ended with a frantic Kirk Anderson rushing out of the building to escape. “It’s a spiritual fire,” vocalist and clarinet player Robertson Witmer explained. AWESOME’s Storefronts Seattle performance was a part of Arts Crush, a month-long festival to encourage the public to connect with artists in unique and unexpected ways. 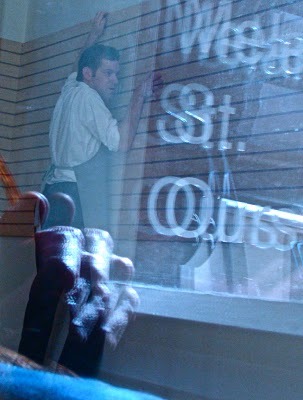 A crowd member, reflected in the window, watches John Osebold jam. Basil Harris skillfully makes a mixing bowl sing.